Julie Salman chronicles her experience with thyroid cancer, including dealing with a new reality and coping with radiation. Although most thyroid cancers can be cured at early stages, it is the most rapidly increasing cancer type in the United States, according to the American Cancer Society. It is not yet clear why the incidence of thyroid cancer is increasing so fast. Thyroid cancer is the most common endocrine cancer. 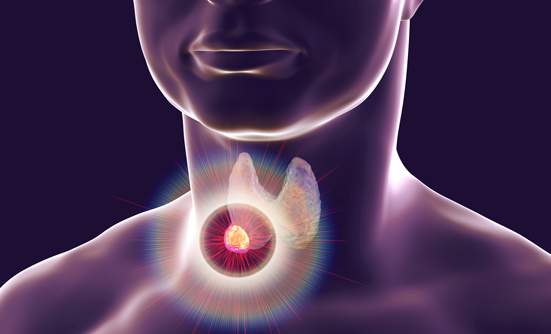 Test your thyroid cancer knowledge with this quick quiz!